Logins this hour: 15299 ? 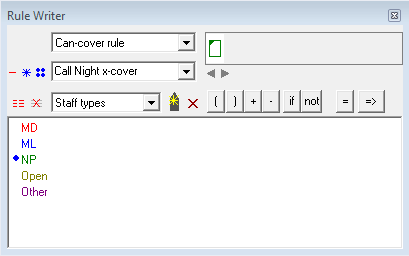 Create a Can-cover rule if you need to define who's available for cross-coverage when standard staff are not. You can have both a Staff-by rule and Can-cover rule for the same call service or shift. In OnCall's menu bar go to Window / Rule Writer. The Rule Writer toolbox has three dropdowns. In the top dropdown, select Can-cover rule. In the middle dropdown, rename the rule to a more meaningful name that defines the rule. Click on the current name and type over with the new name. When finished, click ENTER. Naming rules is particularly helpful when you have more than one rule for your schedule. In the bottom dropdown, select a condition and then choose entries to include or exclude from the rule. If your rule has layers of conditions, separate or define them using the icons above. The most commonly used icons are the + to add another set of conditions or - to exclude a condition. When finished building the rule, click the Apply to icon, => to apply the rule to one or more call services or shifts. A popular example of needing a Can-cover rule is when you have certain staff that primarily work certain services/shifts. But if the primary staff (1st tier) are not available, you have designated secondary staff (2nd tier) that can cover those services/shifts. 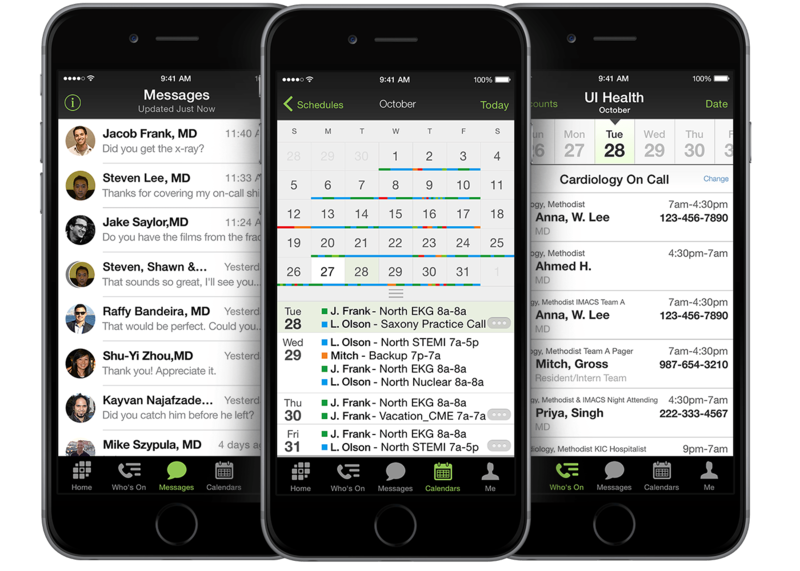 When staffing Call Night, the Infobox Available staff view displays only MDs. When switched to the All staff view, only NP names appear. In the top dropdown, select Can-cover rule. In the middle dropdown, select the Can-cover rule you need to edit. Click on the rule's condition icons on the top-right side of the window to edit the entries. Click on the Apply to => icon to edit which call services or shifts follow the rule. If further assistance is needed, please email Amion support or call (888) 898-0779 ext. 2. Here we discuss rules. This page describes cross-cover.